May 12, 2015 -- via MakerZoo For the longest time if you lost a limb or were born without one, getting fitted with a prosthetic limb was a hopeless endeavor, particularly if you didn’t have the money for what passed as the “best.” Customization used to be costly regardless of the industry, and biomedical technology, including prosthetic limbs was no exception. However, with 3D printing, has come the ability to make highly customizable objects with precise measurements both for cheap and very quickly. Applying 3D printing to biomedical technology is an increasingly more common practice and for prosthetic limbs, there is a growing number of versions and designs turning up all over the world. These limbs are open source, easily printable, and have received a wide range of positive coverage around the world. It began with the e-NABLE project which has steadily improved on its initial designs. 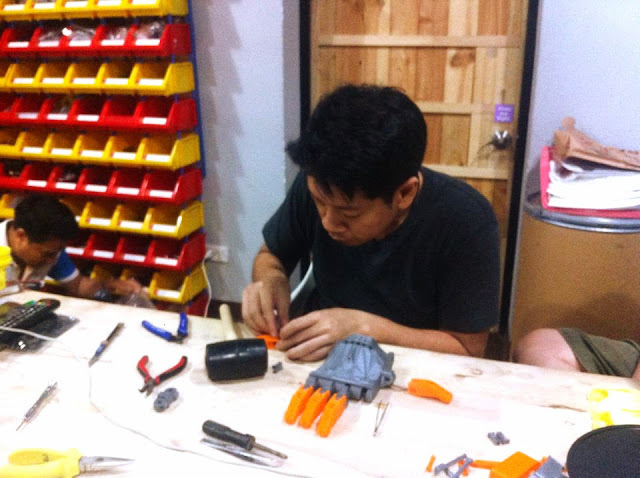 At MakerZoo, a makerspace in Bangkok, the task of adapting these designs for the needs of local people as well as creating a means of distributing them and gathering feedback to improve them is underway. Last "Maker Sunday," Sasapol Bumrungcheep (P’Ta) explained to Post TV the background of the e-NABLE project and even assembled several of the hands which were printed out the night before. At the end of the day 3 hands were assembled, and several more were in various stages of assembly. The next step is testing the e-NABLE designs with real people, collecting their experiences and making the necessary changes. Incorporating other material into the designs, including stronger materials for joints that will almost inevitably wear out and break with the plastic versions are the top priority. Additional changes might include improving both function and form. In the end it is hoped that a viable and growing ecosystem of localized and even open source biomedical technology can take hold in Thailand and around greater Southeast Asia. 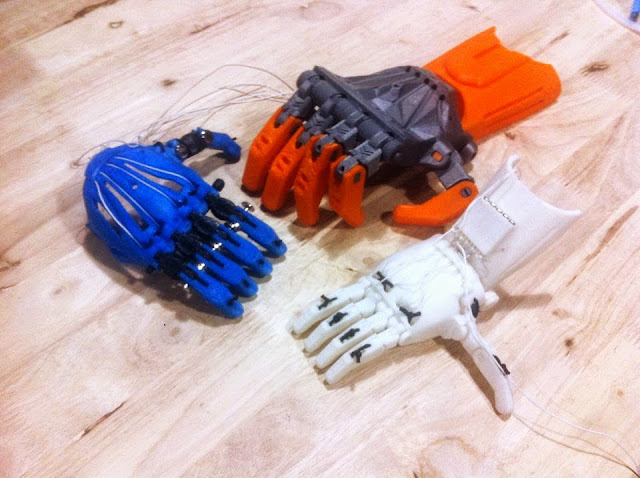 For those who need these limbs and other solutions but cannot afford them or simply cannot find the solution that works best for them, the talent and tools found at makerspaces seem to offer the best hope, serving as yet another example of the positive role makerspaces can perform within their community.